Cooler weather. Blankets and sweaters. Shorter days. Pumpkin lattes. 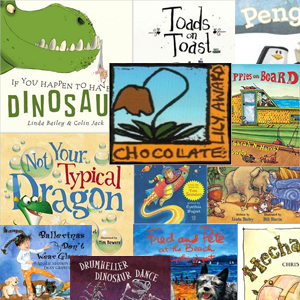 Fall is upon us and as we settle into school routines and wearing jackets, book lovers are anticipating reading and placing holds on a new crop of books to snuggle with during their evenings. What can we expect to see on bookshelves this fall? We can expect to see books reflective of social issues. 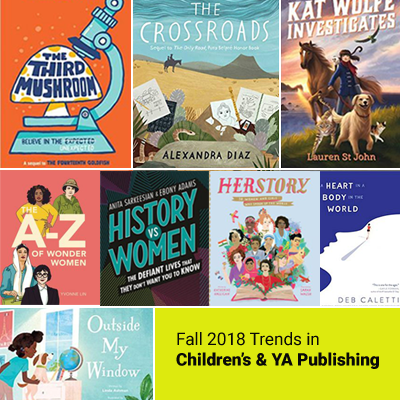 While much was speculated about 2018 publishing- more STEM, more magical settings, and series regulars- books about females and minorities take front and center this fall. 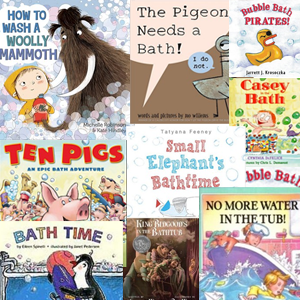 To show gender equality, readers will see more female animal characters in picture books. Middle grade novels feature females of all origins battling forces to keep their families safe, solve problems, and grow as individuals. In nonfiction, females who have not been granted their rightful place in history are now considered significant and can be found in collections of stories and biographies about women. If ever children’s/YA publishing took notice of females, it is now. Maya Papaya and Her Amigos Play Dress-Up by Susan Middleton Elya is told in both English and Spanish. Series such as Aaron Blabey’s Pig the Pug returns in Chancho el pug and David Shannon’s ever popular David character returns in ¡Crece ya, David!. This fall’s publications unquestionably are providing children a glimpse into different cultures and places around the world. In honor of the large selection of books available for reading this fall, we have included 4 reading lists in this issue. Don’t forget that when you click on the link to a title, you can always find similar books in the Books Like This section of the entry.